Work for Alta Vista Technology? Learning about Alta Vista Technology? "An exceptional experience. Could not be happier." Alta Vista’s professionalism and expertise blew us away. They were able to identify our pain points and match us with products that solved our unique problems. Would recommend them to anyone looking for a smooth transition and amazing support. I have yet to find something I dislike about Alta Vista Technology. Based on the experience I personally had in addition to my staff, Alta Vista Technology would be the only service provider to ever use, and would suggest to not even consider any other. "Alta Vista treats you as if you are one of thiers. Top notch customer service. " The staff hands down is what keeps us loyal to AV. To date, we have not encountered any issues. When you partner with Alta Vista you will receive the highest level of customer service. Alta Vista is like a family, when you partner with them you will be treated as such. Their customer relationships does not start or end with their customer service team, it extends to their technology & upper management teams as well. When it comes to Alta Vista they all take pride in what they do, it would not be uncommon to receive a call direct from Hollie or Scott, which in this world says and means a lot. The lead professional services person is extremely knowledgeable and responsive. The initial implementation team was great at helping us get started by having the Lead PS person help us through best practices and customization was key . Local Implementation team ensured a successful project. The report creation was a struggle - we took the online classes and they helped tremendously. Once we got use to the Intacct report creator we were moving in the right direction. Very professional and knowledgeable sales and implementation team - That they were local for us was key to ensuring our projects success. 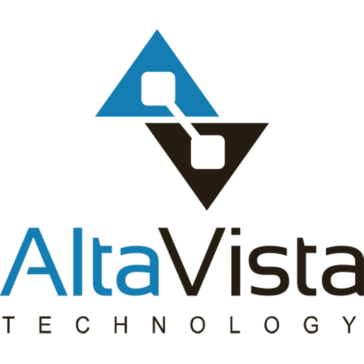 "Intacct support from Alta Vista"
With the assistance of Alta Vista, our accounting activities have become much easier and have reduced processing time substantially with Intacct. There is not much to dislike with either Alta Vista or Intacct. We are very happy with our support and with the product. Fully recommend working with the Alta Vista team. "You won’t find a better partner than Alta Vista"
The level of communication that Alta Vista provides is incredible. They were able to see where our issues were and take steps to install the correct solution that perfectly fits our business. The ClearPath Methodology used for the implementation kept us on track. Thank you Alta Vista! Nothing. The process was a breeze! They worked fast and efficiently. The ClearPath Methodology used for the implementation kept us on track. Great sales process and a great implementation team. Their ClearPath Methodology is the key to a successful implementation. "They truly provide exceptional service... I STRONGLY recommend them..."
They understand that every organization is different and seek to truly understand their customers unique needs. Their personal service and extremely knowledgable staff is what sets them apart. I have worked with them for years but cannot think of anything negative. The Alta Vista team is extremely responsive and is always open to delivering a strong message supporting their partners and alignment within the marketplace. At this point, I have not come across an area of dislike with the Alta Vista team. "Identified our needs and provided the perfect solution"
The level of support and professionalism provided by Alta Vista is unmatched. They are prompt and always have an answer to our questions. Their consultants are second to none. We have had nothing but positive experiences with Alta Vista. Their effort to understand current challenges and the ability to address issues to allow more effeciencies in the work flow. There is nothing to report that was disliked. Inefficiencies in current work flow practices, due to new staff who are inexperienced with Intacct software. Their knowledge provided us with new efficie processes to implement immediately to improve efficiencies. "Angell Hall Capital Partners consolidation"
"Alta Vista Technology are masters at their craft"
Alta Vista found the solution that fixed our broken processes. They were able to make it so all of our accounting systems talked to each other and shared information removing a bulk of our manual entry. Their customer service is world class. Our process was very smooth so we have nothing we dislike at this time. Their staff is very knowledgable and answer questions in a timely manner. That I can't do more business with them. "Alta Vista great for Microsoft Dynamics"
"Thier team was transparent, professional, and brought tremendous value to my clients." Creating customized solutions for the clients needs and providing realistic expectations on outcomes. Nothing but good things to say from what I've experienced. ""Alta Vista great for Microsoft Dynamics""
I had nothing but positive experiences with Alta Vista. * We monitor all Alta Vista Technology reviews to prevent fraudulent reviews and keep review quality high. We do not post reviews by company employees or direct competitors. Validated reviews require the user to submit a screenshot of the product containing their user ID, in order to verify a user is an actual user of the product. Hi there! Are you looking to implement a solution like Alta Vista Technology?